Today regenerative surgical techniques are well-known and well-documented, but sometimes are subject to complications that leave serious concerns from the outcome of the surgical procedure. Soft tissue management is, in fact, the key to understanding the procedure and the incorrect design of the flaps and, in particular, the inadequate application of non-invasive surgical techniques, undermine the efforts of surgeons to obtain clinical and aesthetic results that meet patient needs. Today we can say that regenerative techniques are no longer “sensitive to operator error” but “sensitive to operator knowledge”. 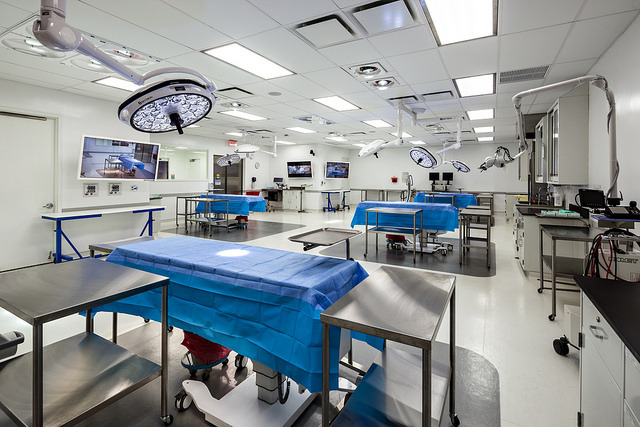 This advanced course offers the real feel of a clinical setting through the use of fresh, frozen cadavers. The soft tissue handles the same way as in a patient's mouth. Unlike what you may have experienced at other courses, where the density of bone is of styrofoam quality. The participants in this didactic activity have the opportunity to express, in a definable real context, all their knowledge and that acquired during the course on the application of regenerative bone techniques. GBR flap designs, flap passivation techniques, stabilization and anatomical adaptation of barriers,definition of anatomical structures that could potentially interfere with the application of regenerative techniques will be some of the procedures that participants will learn, test and apply on human repertoire. Course fee / tuition includes one dinner, lunches, break refreshments, one scrub set and all course materials. After completing this course, the participants will receive a certificate with 12 hours of declaration.